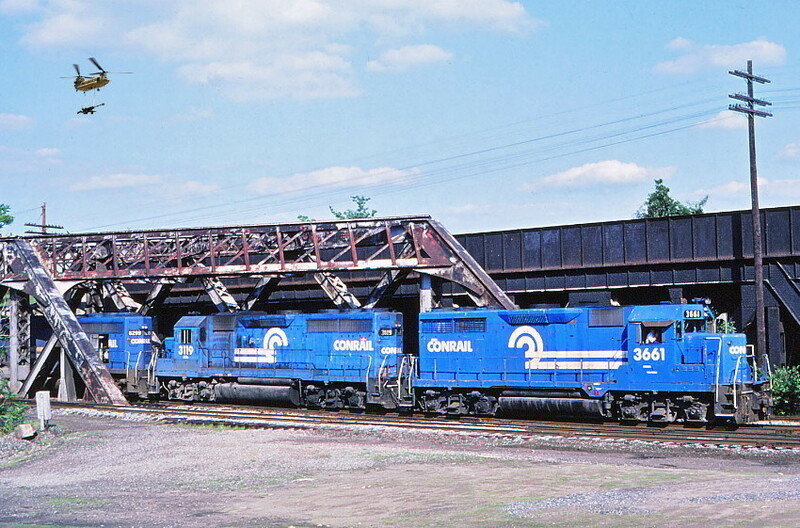 Conrail transfers its train to the Providence & Worcester while a Chinook transfers a Howitzer to a new location. Photographed by Bruce Macdonald, June 18, 1982. Added to the photo archive by Bruce Macdonald, October 13, 2018.